Anyone who owns a smart phone or tablet has at least one game installed on their device. I myself have a handful of games which I often times open during my idle time. I like it when the game is easy yet challenging, do you get what I mean? One that doesn’t require much critical thinking yet it gets you on your toes. For most gamers, I’m sure you get my drift. Lucky for us there’s another game that we can all add to our roster of time-killers. 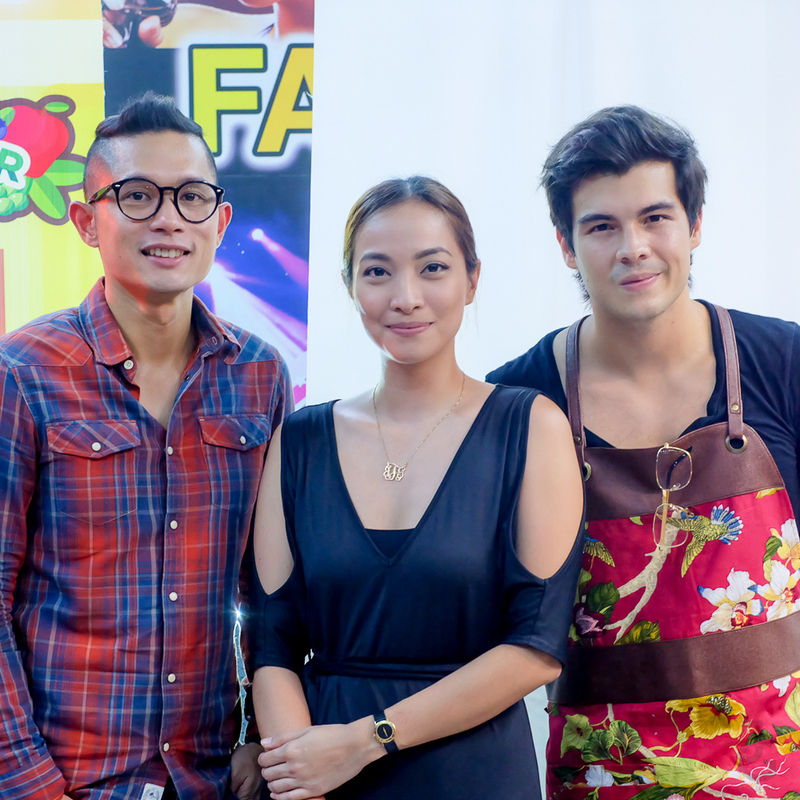 Xeleb, a producer of exhilarating games that will undoubtedly entertain Filipinos launched another celebrity game: Market Master Erwan. Earlier this year, Erwan was introduced as one of shareholders of Xeleb, along with fellow Filipino celebrities Anne Curtis, Kim Atienza and Isabelle Daza. 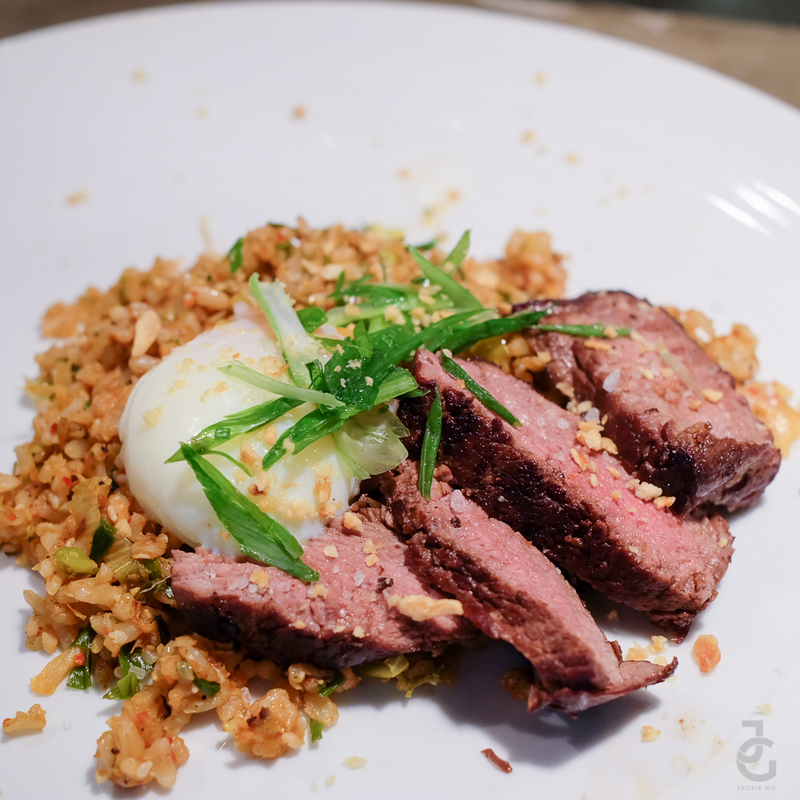 To officially launch Market Master Erwan, he showcased a curated menu for us as we sat down with him, last November 11, and spoke over some Kimchi Steak about what he’s got cooking next. 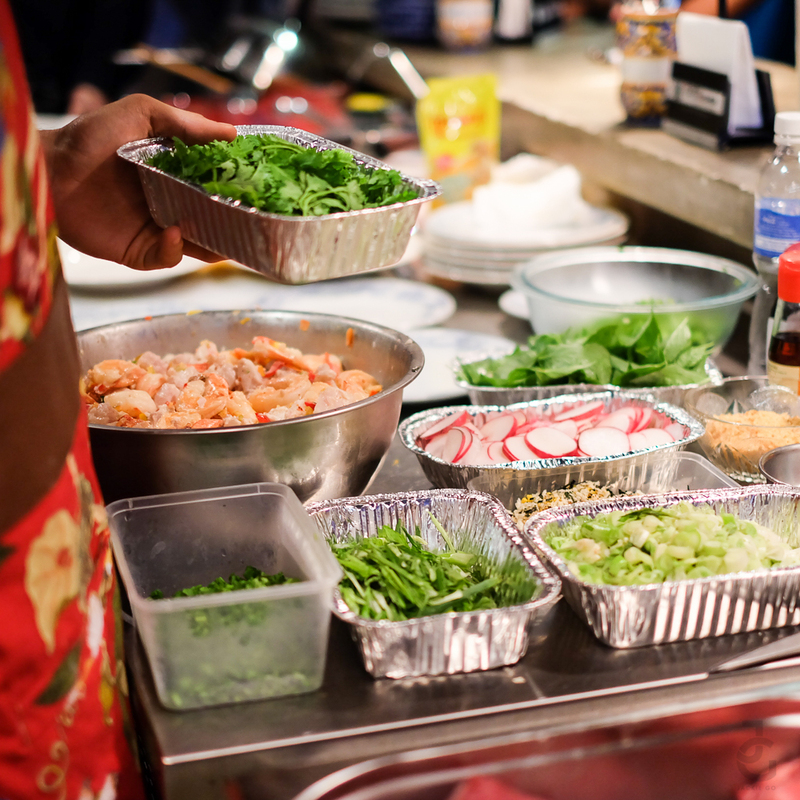 Market Master Erwan allows gamers to shop for groceries, along with getting the recipes to some of Erwan’s favorite dishes (all of which we tried, and are as yummy as they are fun to make!). The Fat Kid Inside, Erwan Heussaff, has made a name for himself in the digital and entertainment industry. 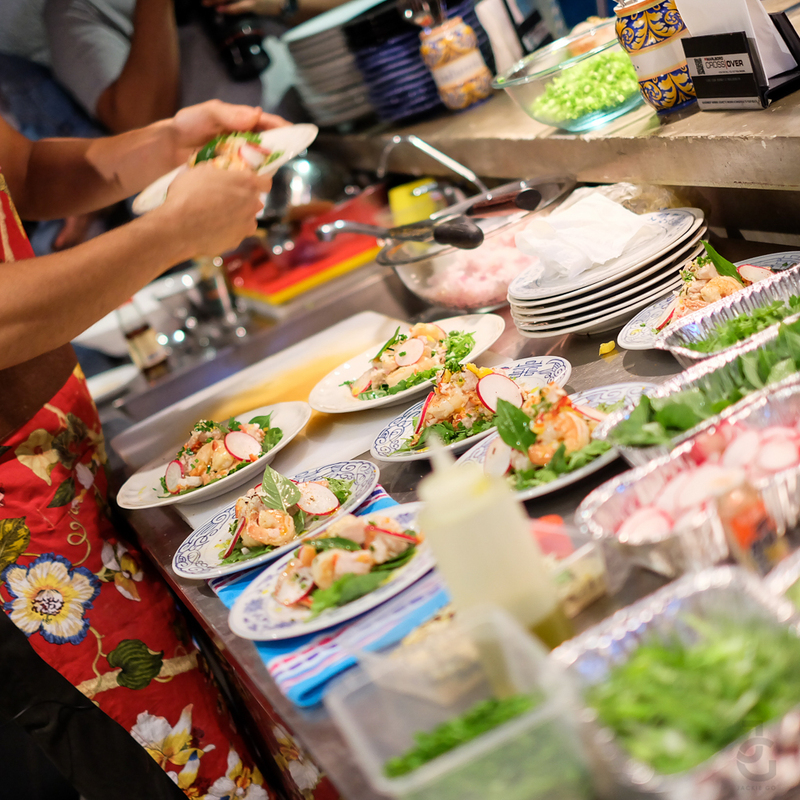 Popular for mounting a number of trendy restaurants in the Metro, Erwan has now made his food available to the mobile community, bringing some of his signature dishes to a new form! 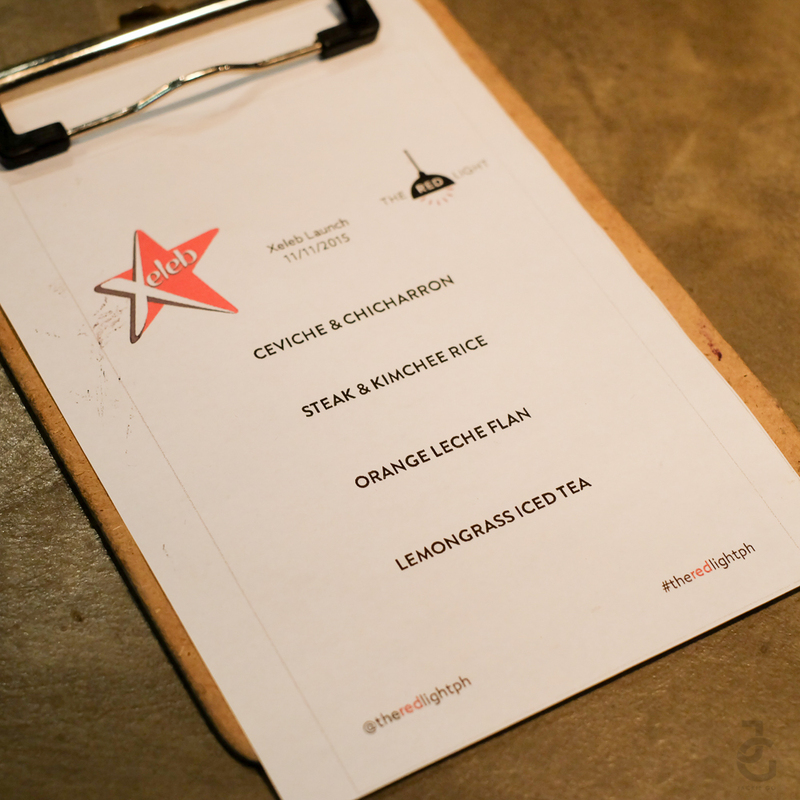 There are multiple dishes to choose from in the game, with three main standouts being specially handpicked by Erwan. 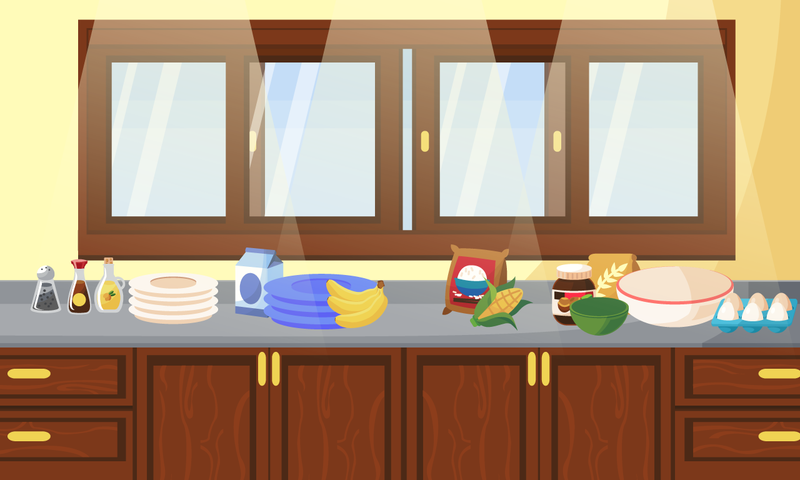 With their own levels of difficulty, each player can learn to make restaurant-style dishes like Kimchi Steak, Tanigue Kilawin, and Orange Caramel Leche Flan. 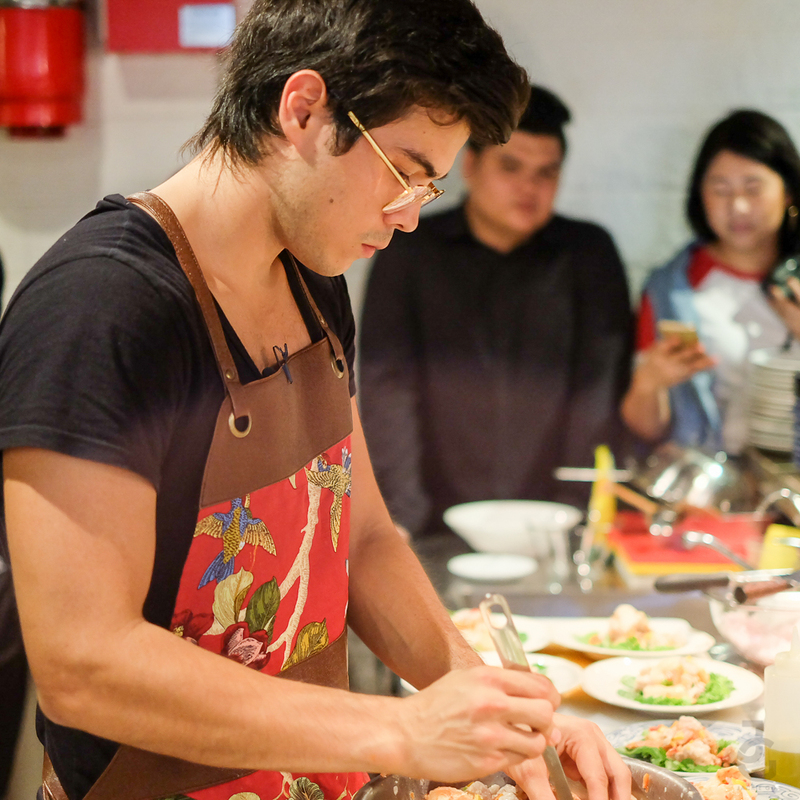 When asked, Erwan mentioned that he chose those dishes so that he could impart to his gamers fun and easy recipes that they too could take home and make themselves. 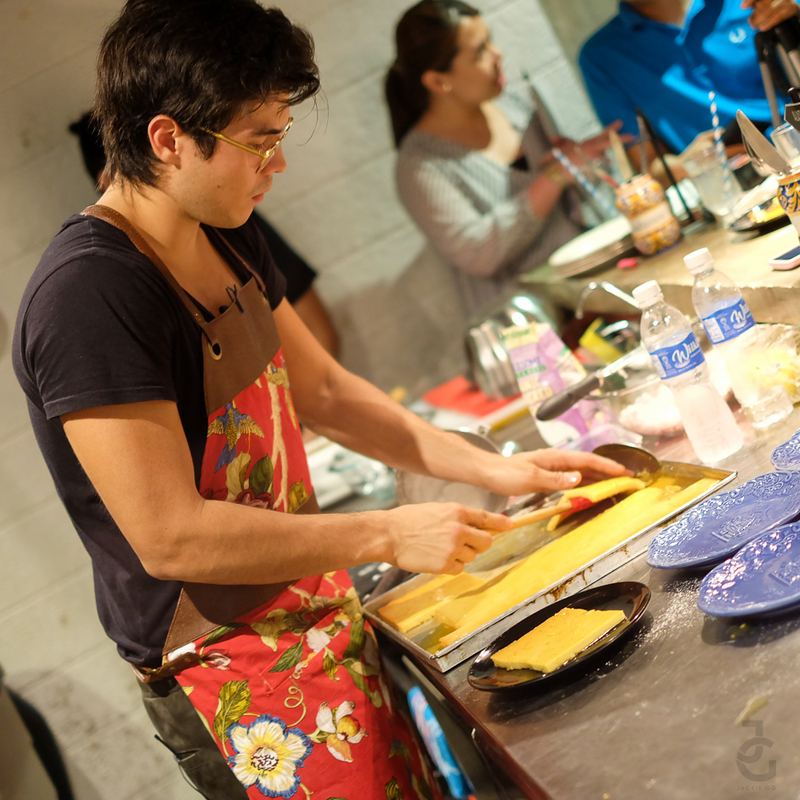 Delectable dishes and mouth-watering meals will never go out of style, and restaurateur Erwan Heussaff is the Philippines’ leading authority when it comes to just that. 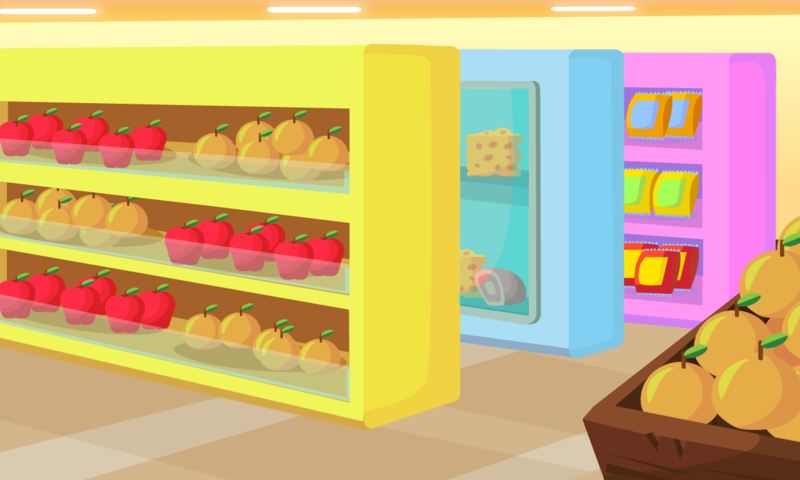 Recreate his famous dishes in his virtual game, Market Master Erwan, a game he made in collaboration with Xeleb. 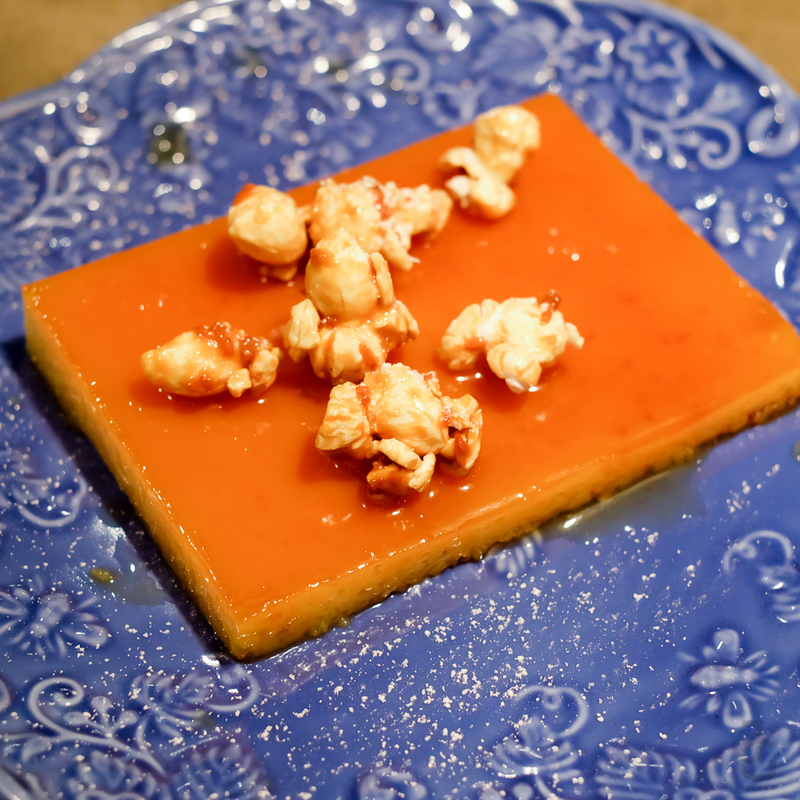 The intimate launch held at The Red Light had us try three of Erwan’s restaurant-style dishes that one can learn from his game Market Master Erwan. 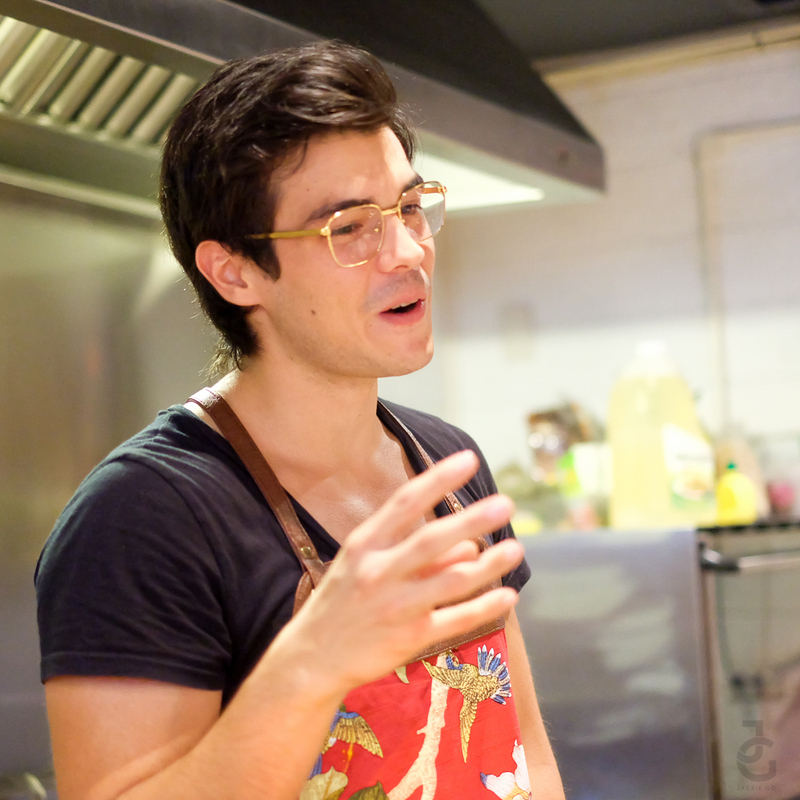 Erwan chatting with us while he prepares dinner. 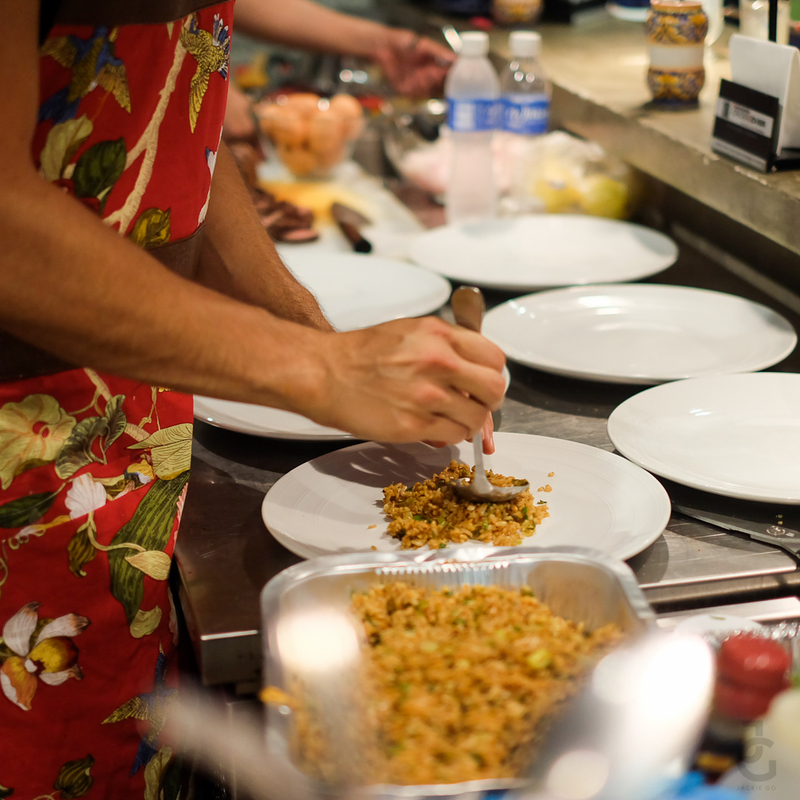 Yes, our proximity was this close and yes, he wears glasses while cooking and not just for porma. Hihi. After our quick welcome chit-chat, we didn’t bother him during the duration of his food preparation and cooking. As obvious with the photos, he’s so focused on his craft. 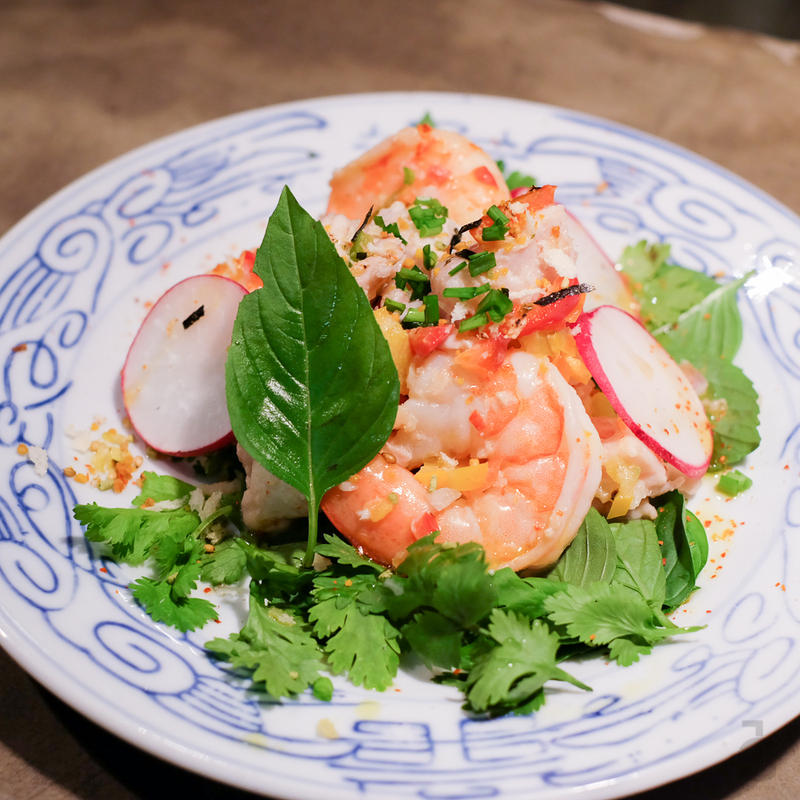 It had the right tangy taste and the greens compensated the soft chewy texture of the fresh shrimp and fish. 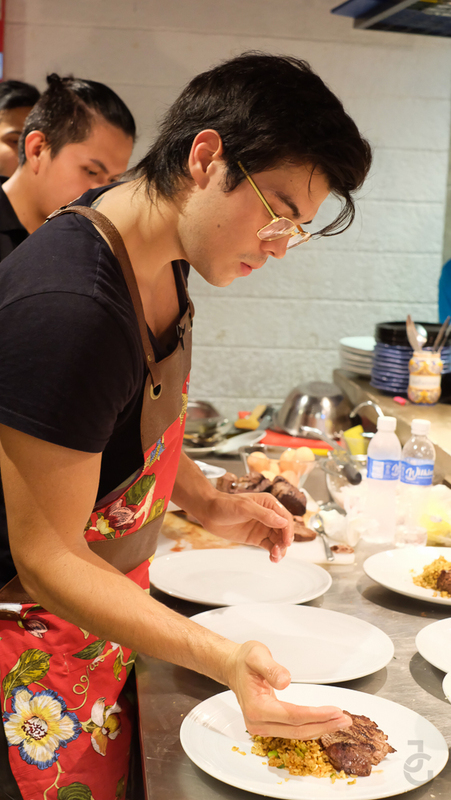 I think only Erwan qualifies to grill a steak wearing a floral apron while looking good. I don’t even look this presentable when I cook at home. LOL. Yep, it did get hot in there. 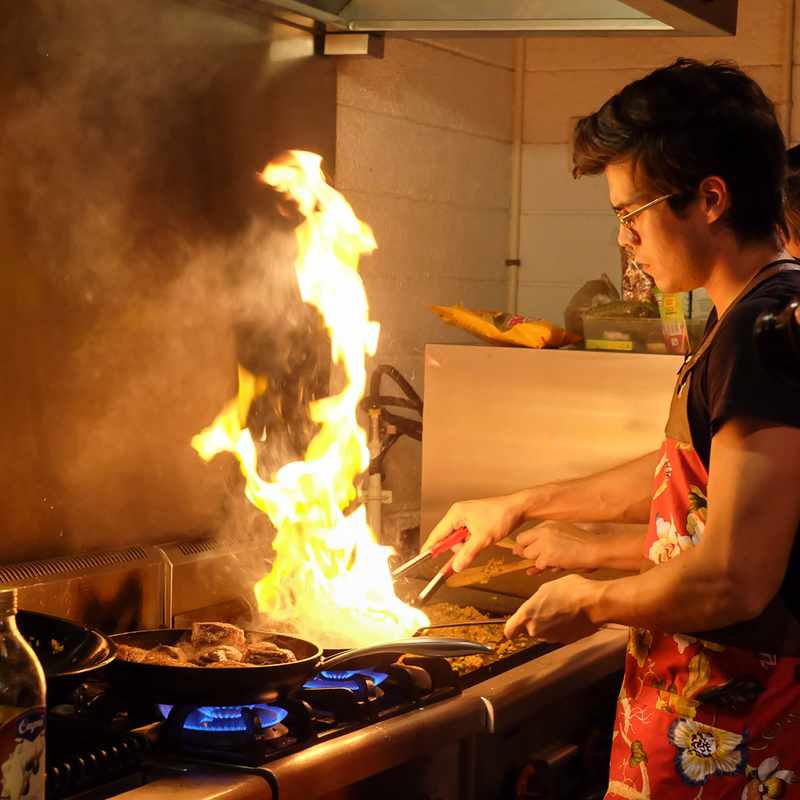 What I immediately noticed was how Erwan liked to use his hands when preparing dishes. I mean literally use his hands. 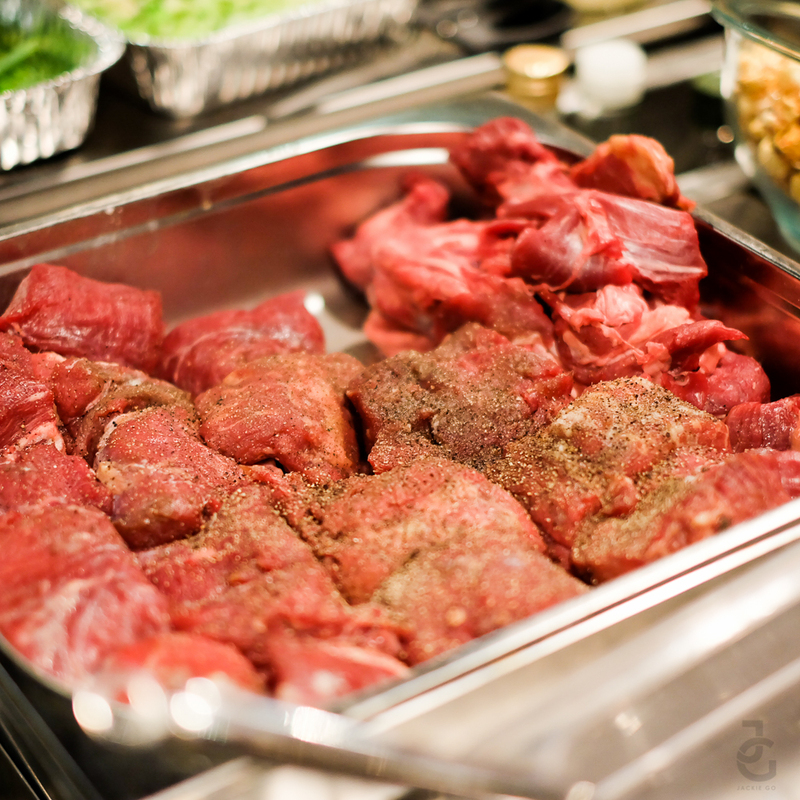 I am a self-confessed carnivore. I like steak a lot (I craved for a well done steak numerous times when I was pregnant with lil’ Ms. JG) so knowing he’ll serve steak got me excited. 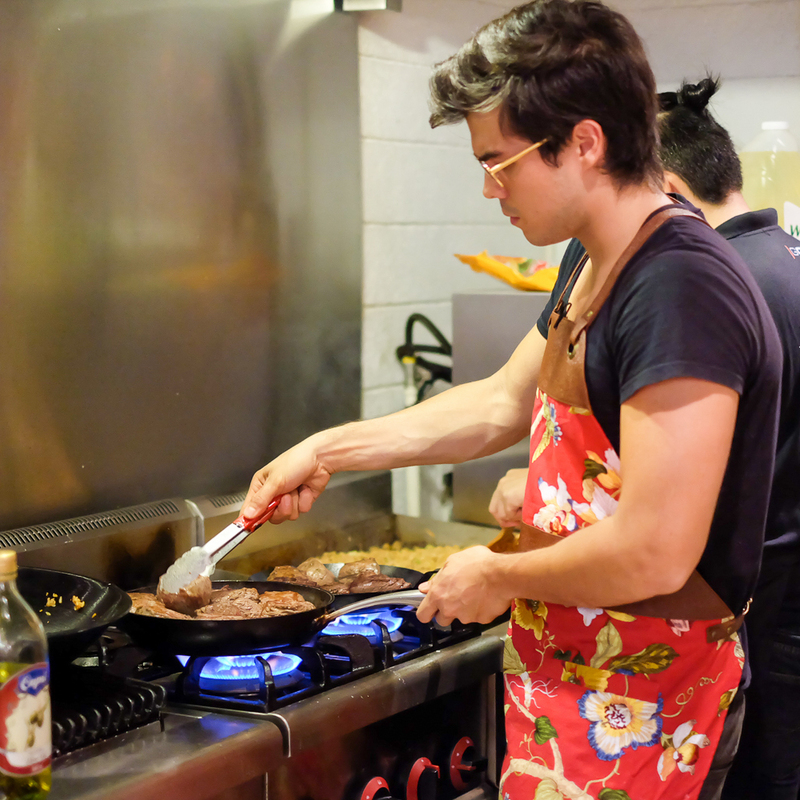 If I were to choose between Erwan and the steak, I’d definitely choose the latter – sorry na mga beki friends and gels! 😉 Steak always wins! Hihi. While I’m no fan of medium well, I was surprised that I enjoyed my serving. It was tender and despite not having gravy or sauce, it was flavourful. Although the kimchi rice was a bit of let down as it didn’t taste as “kimchi” as I hoped it would be. Still, it was a good dish, all thanks to the steak. 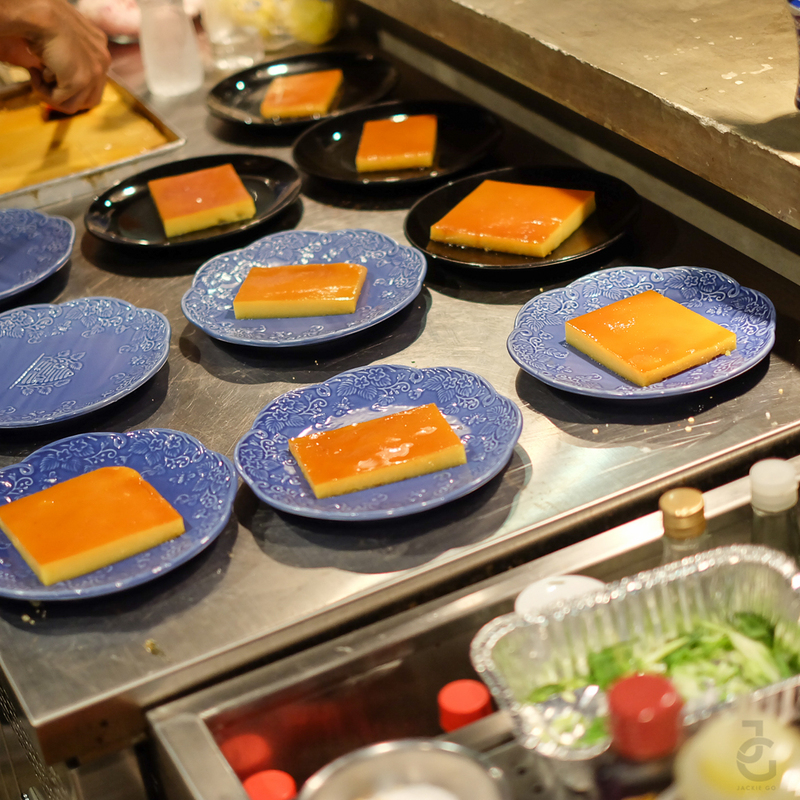 That moment when Erwan pulled out a tray of leche flan from the refrigerator was sheer joy. Sweetness is my weakness and I couldn’t resist a good leche flan. I have high hopes and high expectations for this dessert. Orange is the last thing on my mind when it comes to dessert. Appetizers, pwede pa but dessert? It doesn’t appeal to me at all. But maaaaan, this orange lechen flan which was a little bit bigger than my palm was goooood. It wasn’t as citrusy as I assumed it would be. 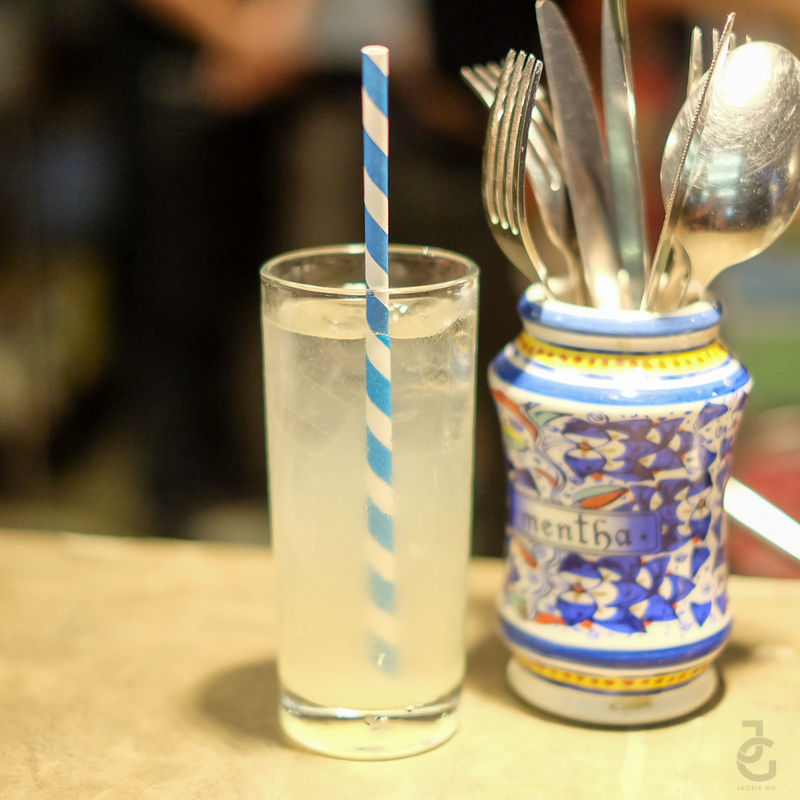 It was creamy, sweet and delightfully refreshing. The hint of orange is still there but it wasn’t overpowering the flavor. Topped with caramel popcorn, wala na, I inhaled this is seconds and finished the entire piece. Panalo this! Raymond Racaza, CEO of Xeleb and Market Master himself Erwan Heussaff. Congratulations guys on Market Master Erwan! Market Master Erwan is available for free download for Android at Google Play Store. I heard from a little birdie that they’ll soon be launching another celebrity game. Hmmmm. I wonder who that will be? Excited to find it out as much as I do? Follow me on Facebook, Twitter, Instagram and Snapchat (all @gojackiego) to see who as Xeleb reveals their next celebrity game!